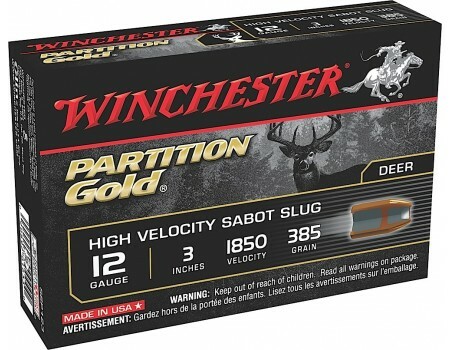 Winchester Partition Gold Slug Shotgun Shells for Hunting. 12 Gauge, 3", 385 GR. Box price, 5 Shells/Box. 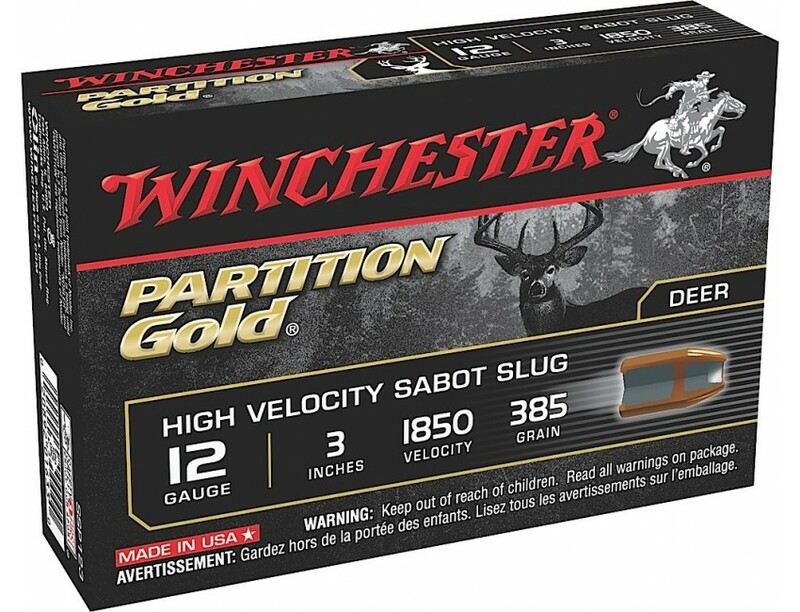 Extremely accurate, Partition Gold ammunition provides deep, driving penetration, regardless of barrel length and is designed for consistent, dramatic bullet expansion. Using Partition technology, it provides maximum penetration and proven results, time after time. High velocity for massive knock down.